One of my favorite pampering memories is visiting an Ayurvedic Center at an island spa. 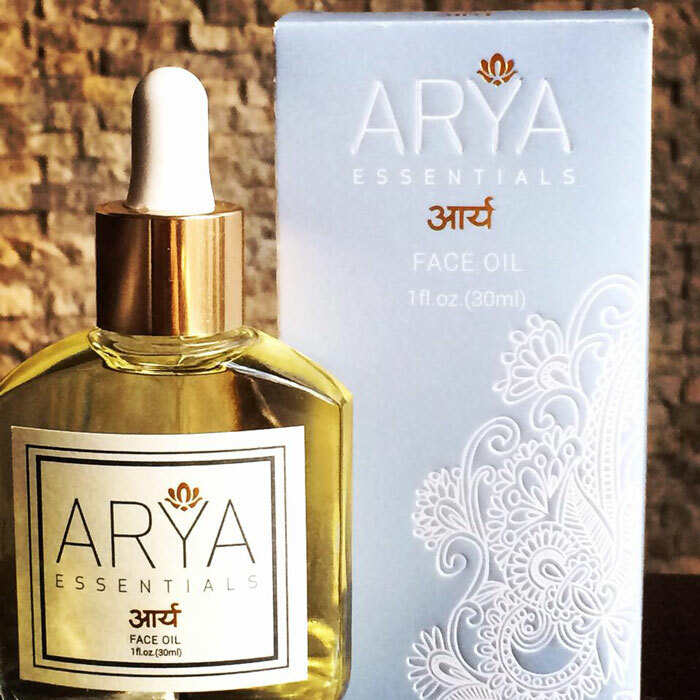 Though I haven’t exactly been able to replicate that experience here in the Midwest, I can come pretty close in theory when I use Arya Essentials’ Face Oil. With a potent blend of essential oils and high-performance natural ingredients such as amla, brahmi and tulsi, Arya Essentials’ Face Oil is formulated to boost collagen production, prevent aging and reduce visible signs of wrinkles. The scent is different than what you may typically expect from an Ayurvedic line. Instead of the heavy spices and savory scents that you’ve come to associate with Ayurveda, Arya Essentials’ Face Oil dresses your skin in a powdery soft, floral scent thanks to sandalwood, ylang ylang and geranium. 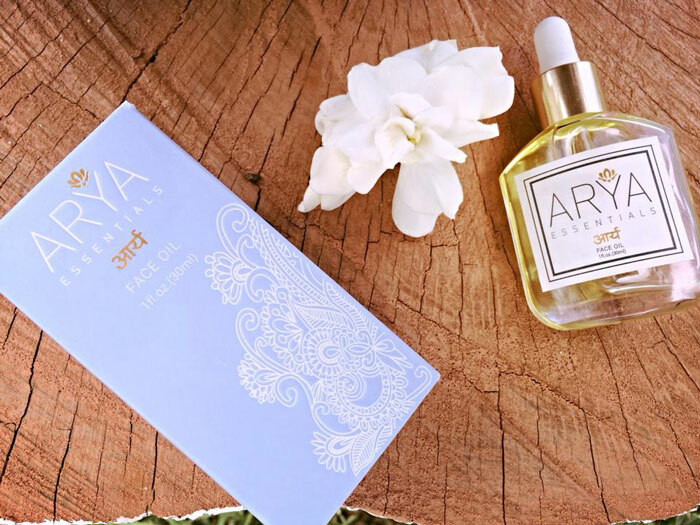 This is a bit of a big deal to me, as Ayurvedic skincare is commonly characterized by heavy-duty scents (think neem and basil), but Arya Essentials’ Face Oil manages to deliver both the standout, traditional ingredients while offering a light, feminine scent that’s pleasant enough to pass for a soft perfume. The texture is what we’ve all come to expect from luxury facial oils: Lightweight, fast-drying and soft to the touch. I can get by with 3-4 drops applied to a properly toned / misted face. The thoughtful ingredient blend allows for an even application and slip, making this face oil one that you don’t have to pile on to get that well-hydrated feel. Amla, also known as Indian gooseberry, is known for its high vitamin C content and powerful rejuvenating properties. There’s even been talks of amla berries having potential cancer-fighting benefits (though more likely when eaten, not slathered on the face). Amla also has anti-inflammatory and astringent properties, making it an ideal ingredient for Pitta skin like mine. In addition to amla, Arya Essentials Face Oil contains brahmi, another widely respected Ayurvedic herb celebrated for its ability to brighten and soothe the skin. Brahmi also boasts detoxifying properties, gently toning and calming troubled skin. Tulsi, or Holy Basil, is yet another popular plant rich in skin-saving antioxidants that purify and add radiance to dull skin. It’s highly regarded as a heavyhitter when it comes to antioxidant content and antibacterial, anti-viral and immune-enhancing properties. With these three superstar Ayurvedic ingredients going to work in a base of argan, jojoba and sweet almond oils, my highly hormonal, Pitta skin could not be happier drinking up the years-old promise of Ayurvedic skincare. I will point out, though, that none of these ingredients are listed as certified organic, which is disappointing given the high cost of this face oil. While I respect the thoughtful blend, I always wonder what it would take to source organics — and how that affects price. I would love to see Arya Essentials reformulate to add more certified organic ingredients! Besides that detail, I’d say Arya Essentials Face Oil is a winner. It’s got all the good-for-Pitta-skin ingredients packed away in a lightweight, mixed carrier oil base that’s easy on the nose for those who don’t like spicy or herbal scents on their faces. What’s been your experience with Ayurveda? Have you tried Arya Essentials? What are your favorite Eastern herbs and ingredients? Tell me in the comments section!